I usually make sourdough bread once or twice a week. I make sourdough more than sprouted bread as my family likes it better and I enjoy making it so much. There is nothing as special as having a sourdough starter that has your own unique yeasts from your kitchen and hometown – that makes it uniquely your own. For instance, you know how San Francisco sourdough has a really sharap, sour taste? This is because of the wild yeasts in that area related to the ocean and flora around this part of the country, giving it its own special taste. Yours will taste different, too. It’s fun to find out how it adapts to your part of the world and especially your kitchen. 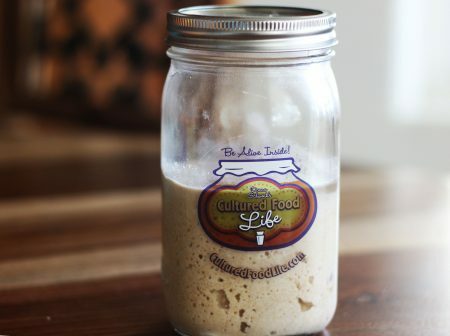 Feed your sourdough starter as soon as you get it. Follow the recipe and ratios below or in the booklet you recieved. 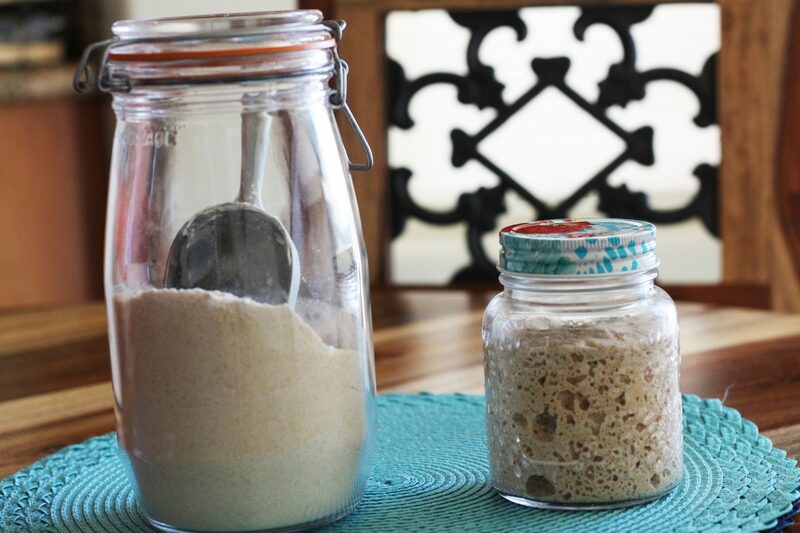 You should feed your starter fresh flour and water at least once every week, preferably because you have used the starter for a wonderful loaf of sourdough bread. Otherwise, you can store it in the refrigerator. If you remember to feed it or use it at least once a week, your starter will stay ready to use; but if you forget and leave it for several weeks in your refrigerator, you can usually revive it with a little love and care. 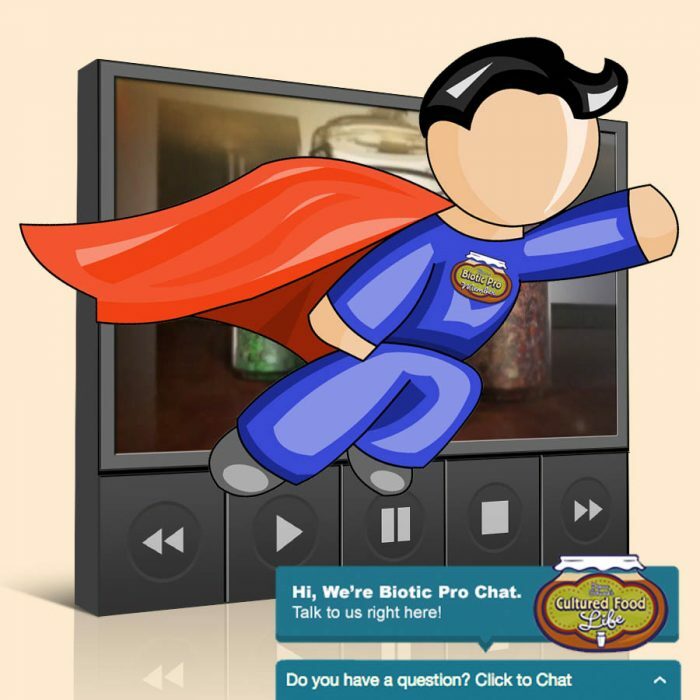 Check out troubleshooting below. Feed your sourdough culture 6 – 8 hours before you want to make you bread. 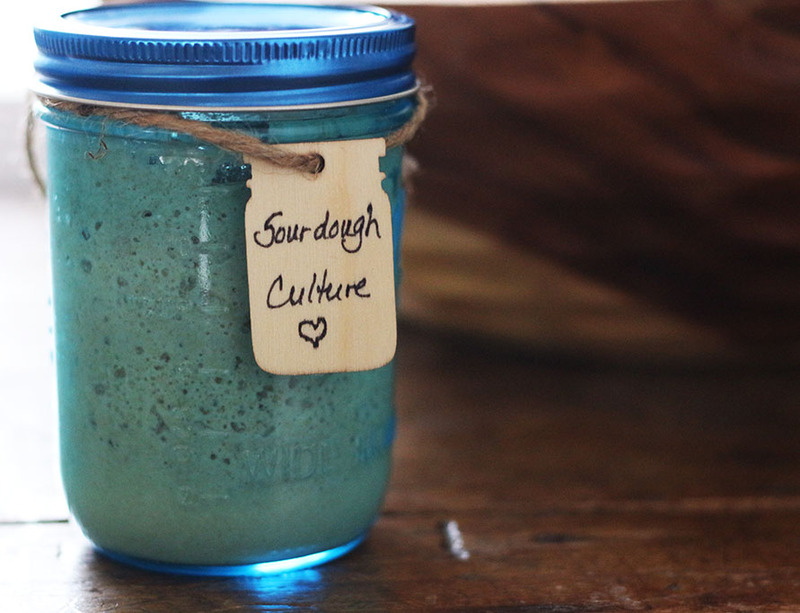 I keep my sourdough culture in the refrigerator. I feed it religiously, once a week, with the 1-1-1 ratio. Use 1/2 cup of starter and replenish it by stirring in 1/2 cup water and 1/2 cup flour. Then place in the fridge. It’s very important to NOT use more starter than flour and water. It’s always stays active if I do this. The day I want to bake with it, I feed it and and let it warm up on the counter till it’s nice and bubbly which take 6-8 hours. 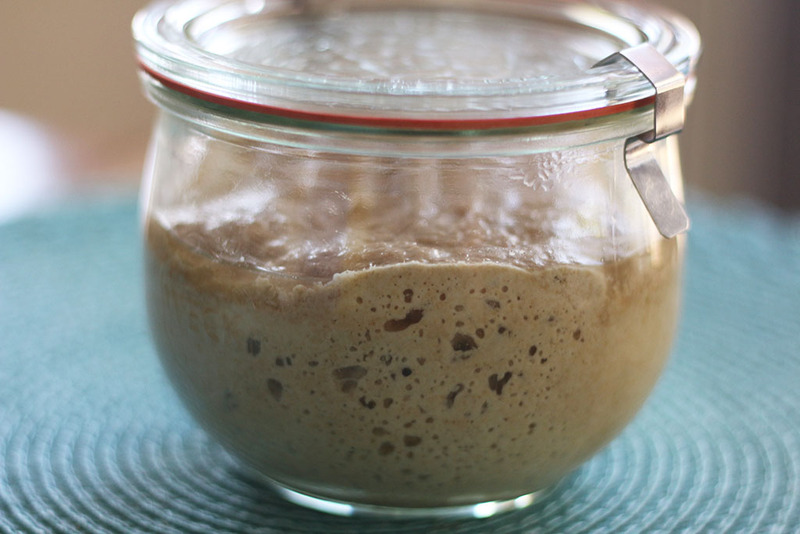 If you have been busy or away, you can always feed your starter without baking anything. Stir the mixture together, remove enough starter to leave only 1/2 cup of starter and replenish it by stirring in 1/2 cup water and 1/2 cup flour. Then place in the fridge. It’s very important to NOT use more starter than flour and water. Use a ratio of 1-1-1. If you use too much starter it will consume all the food and not be as bubbly. You can use almost any type of water to feed your starter, although filtered or purified water works the best. I’ve even used tap water but some bakers say this is not the best. Spring water with minerals is my preferred choice. 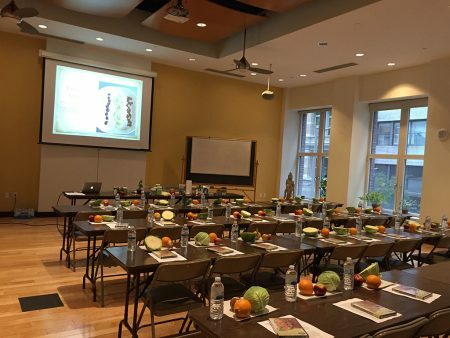 Fermentation loves minerals and will help with the end product. 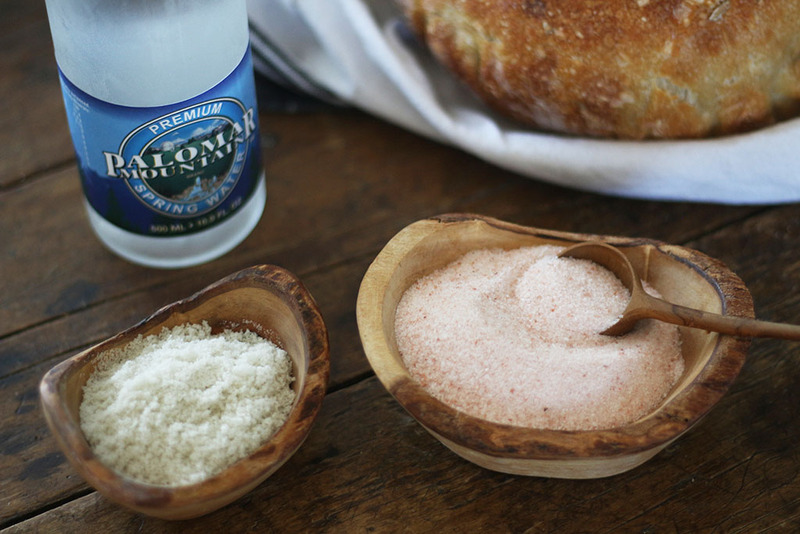 My two favorite salts to use are finely ground Celtic Sea Salt, or Himalayan Salt is wonderful too. I think salt with minerals is important, but almost any salt will work. I just think that since my body and cultures love salts with minerals, I should give my bread the very best I can find. 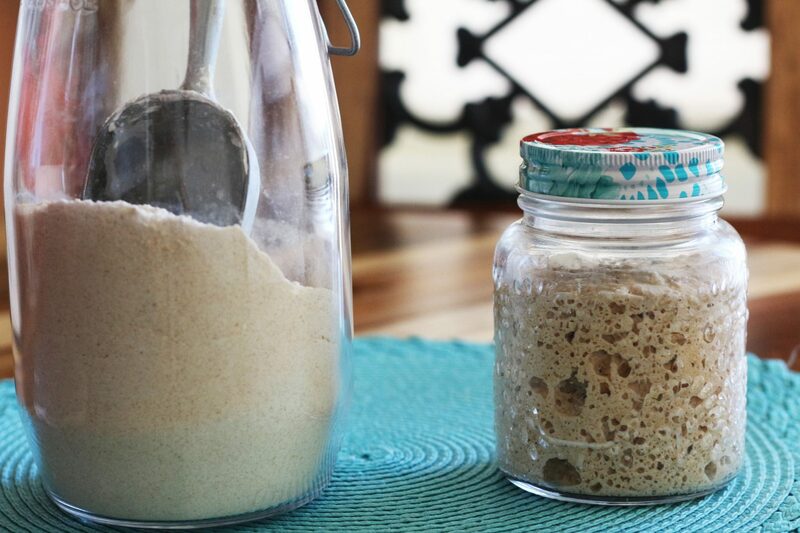 If it’s been a few weeks since you fed your starter, I recommend reducing the starter to 1/4 of a cup and adding 1/2 cup flour and 1/2 cup of water. Leave it to ferment for six to eight hours and see how it does. It should perk up and have lots of bubbles. This method overwhelms it with food and really gives it a stronger start if your starter has not been acting right. Do this a every eight hours (twice a day) until it’s bubbly all over on the sides and on top of the jar. It may take a few times of doing this or a couple days but it should come back to life with twice a day feedings; in the ratios of 1/4 of a cup starter; 1/2 cup flour; and 1/2 cup of water. Don’t use too much starter! When you see a dark liquid on top of your starter don’t be alarmed. The alcohol might have separated and come to the surface. This is called the hooch and can be dark in color and look alarming. No worries, it’s not harmful and you can discard this liquid. The hooch is a by-product of the starter eating all the food and it means it’s hungry and wants to be fed. Let’s say you wanted to make THREE cups of starter to make several batches of bread. By combining 1 cup of starter, 1 cup of flour, and 1 cup of water you will make 3 cups of starter. It’s very important to NOT use more starter than flour and water. Use a ratio of 1-1-1. 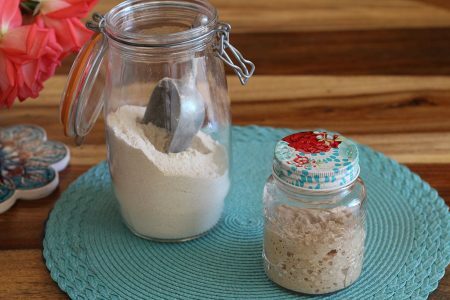 If you use more starter, it will be extra active because there is more starter than flour. It will eat all of the flour and not be as vigorous as it could be. 83 Responses to "How to Care For Your Sourdough Starter"
Donna, I know that the sourdough starter that is stored in the fridge should be fed once a week and that is what I do. I know there are people who bake everyday or maybe 2 or 3 times a week. But in your article above something isn’t clear to me: for those who bake often they don’t put the starter in the fridge but leave it on the counter. So do they still feed their starter once a week or everyday morning and night? Maybe I should ask instead…Should those who don’t put their starter in the fridge but leave it on the counter continue feeding the starter morning and night on those days between baking? Yes, if you leave it on the counter everyday feed its best to feed morning and at night to keep it strong. You can do it once a day but that should always be 8 hours before you use it. my starter does not smell as fresh as when I got it. I have had it on the counter and fed it once a day but now it smells a little bitter and alcohol-ish. Is it still good? You need to feed it twice a day or it starts to develop what they call the hooch. This gives it the smell of alcohol which is what happens when it runs out of food. 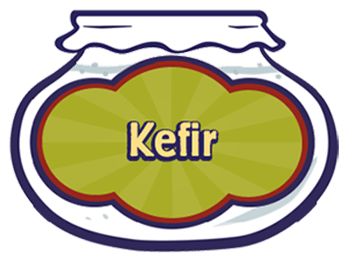 I am mixing my bread up using kefir and letting it rise 24 hours. Am I getting the same results as far as it feeding off the flour and making more the flour more digestible? Thank you. Yes this will work as well to make the bread more digestible. 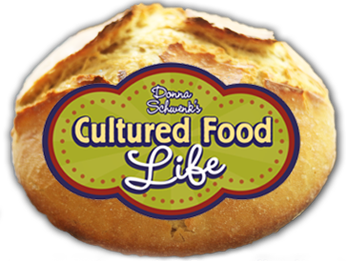 Donna, should the sourdough starter that’s in the jar be stirred down first before measuring the 1 cup starter required for the recipe? It doesn’t say that in your directions but that’s what I’ve been doing. You can do this but you don’t have too. I usually just pour it straight from the jar into the measuring cup. Thank you very much for this helpful information. The 1-1-1 ratio is very helpful information in addition to knowing when the starter peaks. I started fermenting to make sourdough breads. 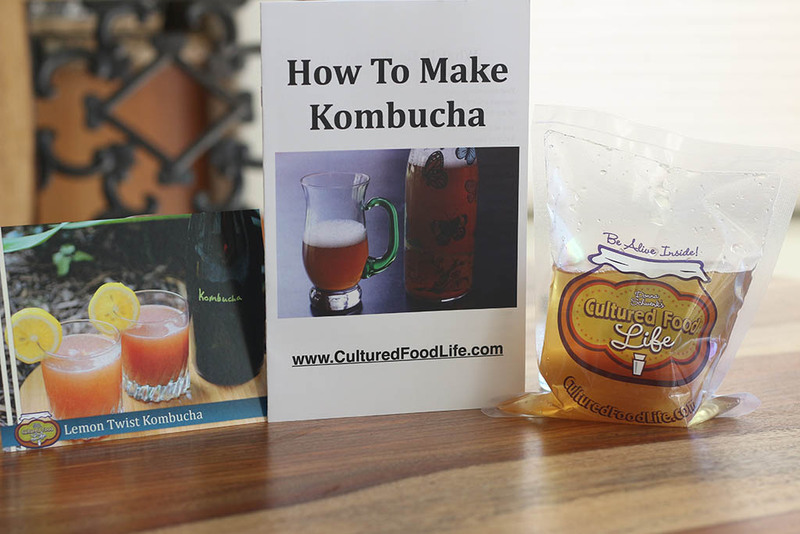 I started with water kefir and gluten free flours. I also use spelt and have made lovely sourdough with whole sprouted spelt flour. 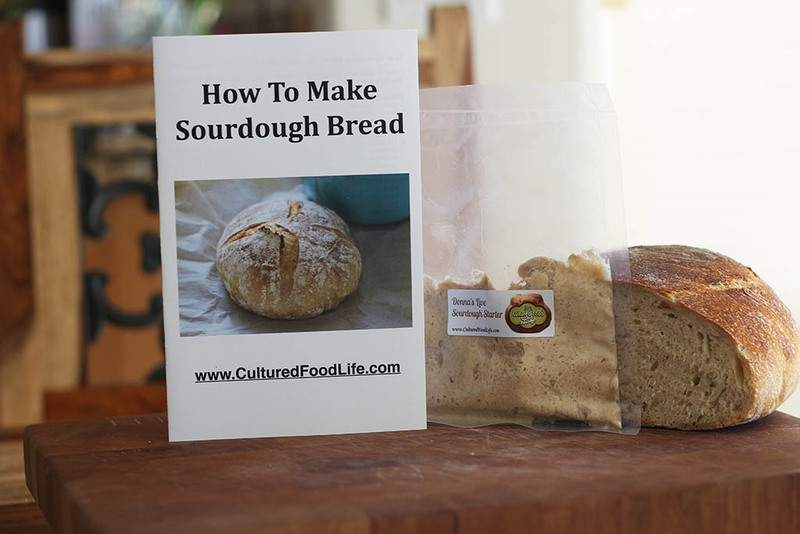 I would like to read up on why you recommend against sprouted flours in sourdough and would be grateful if you could direct me to this information. It does help to give the starter a couple of weeks to mature when first making a homemade starter. My spelt sourdough starter is very active, even when I’ve left it in the fridge over one month and I’ve only used whole sprouted spelt flour. 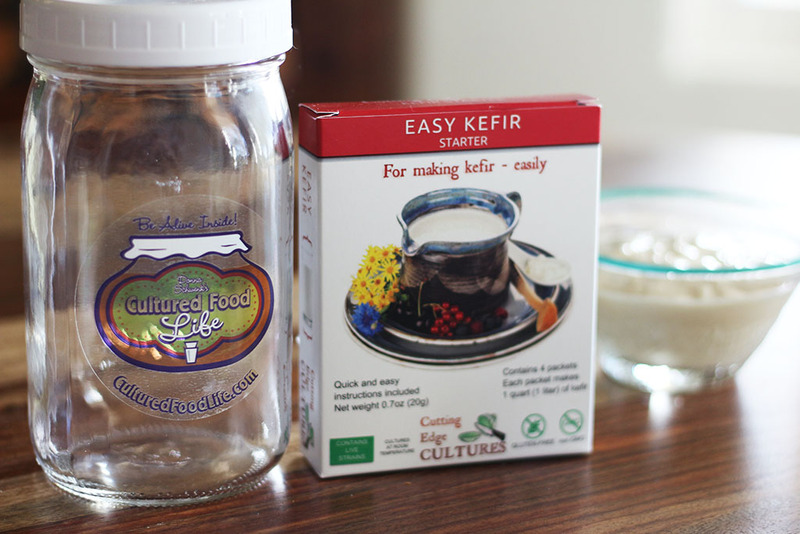 Gluten free starters are more finicky and even when stored in the fridge for only one week a couple of more tablespoons of water kefir are often needed to kick start it into action. 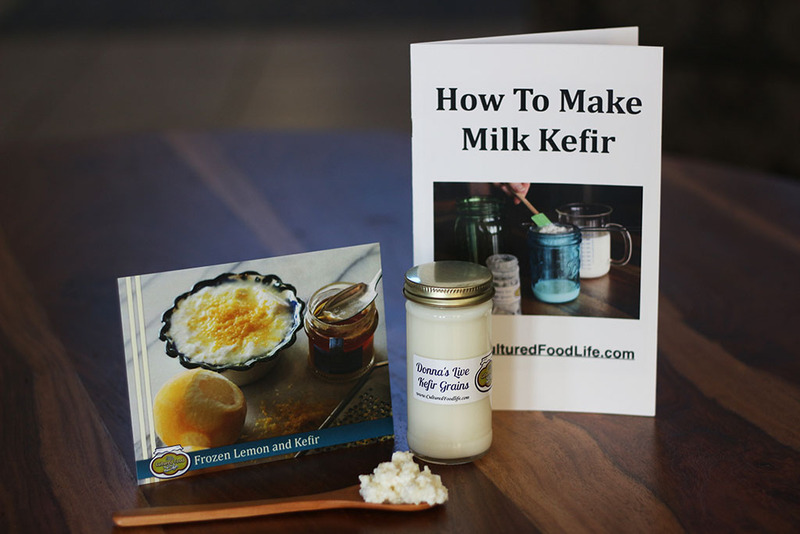 I once used a whole cup of dairy kefir to soak flour for a pancake recipe overnight. 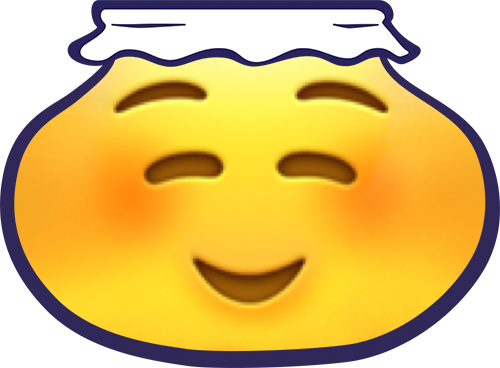 When I woke I had fermented flour and the pancakes were delightful. 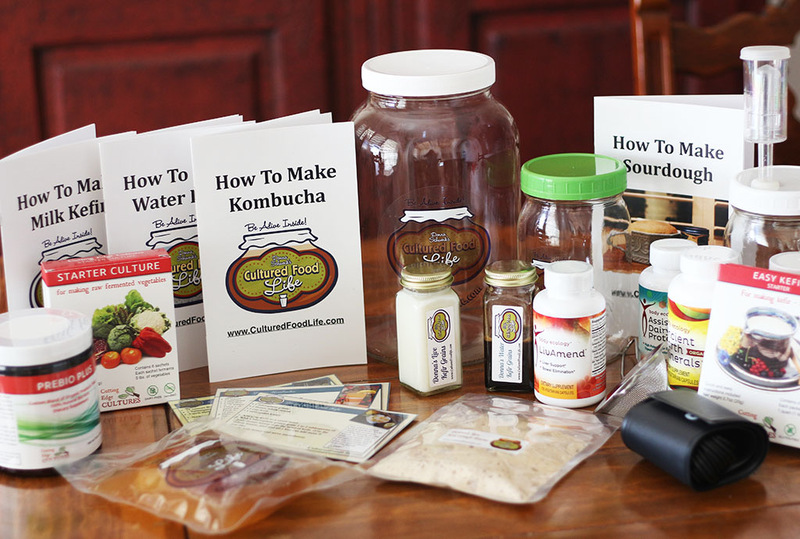 Water kefir, dairy kefir or kombucha can all be combined with flour to make a homemade starter. Some people only use water and flour, allowing the bacterias Yeats naturally present in the flour & air to activate in the mixture. Of course this method will require more time and feedings to get an active starter. Either method used with homemade starters a two week maturing period is advised prior to using and storing in the fridge or freezer. Happy Baking! 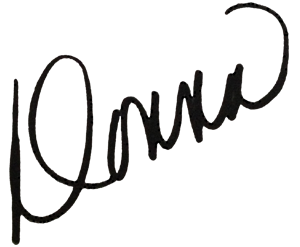 Throughout the years I have learned that having equal portions of everything is the best and most effective way to use manage your starter. I use to feed it using 1 cup of starter but found it to be better if I did everything equally although the other way works too. Where are you seeing that I said this as this is old info and I want to update it so it won’t confuse people? I grow and learn to and found this to work much better so please let me know where you saw this so I can update it. Equal portions 1/2 cup starter 1/2 cup water and 1/2 cup flour is the best way to feed you starter and you can see the results when you do. I hope this helps and sorry for the confusion. Sharon is not the only one confused! I am too! Lol. I received a cup of starter from a friend. I have been feeding it 1/2 cup flour and 1/2 cup water twice a day for 3 days. Last night I took out 2 cups of starter for pancakes. To the remaining starter I added 1/2 cup flour and 1/2 cup water. Should I continue this method once a day, twice a day or do I have it all wrong? I hope to make bread fairly soon. By the way, do you have a good pancake recipe? Wasn’t fond of the one I used. Thank you for your help! I enjoy your posts and you have helped me immensely! If you use it and feed it at least once a week you don’t have to feed it twice before you use it only once before you make bread. Believe me I know how confusing this can be. 12 years ago when I learned to do this I was so lost and didn’t know what to do as there was so much conflicting methods but this is the method I have used for the last 5 years and works great and better than anything else I tried. If you find one that you think is better by all means use that. It’s really fun to make and shouldn’t be hard so this is why I posted this. Please clarify for me your answer to Sharon: When reviving the starter and feeding it twice a day, should I reduce the amount of starter to 1/2C and then add another 1/2C of flour and 1/2C of water at each feeding? Repeating this for 3 days? Yes, this is correct. Repeat for three days or until bubbly all over. I work so during the day so I’m wondering if I could feed my starter at 7 am and leave it to rise all day until 5pm when I get home. Make the bread and pour into a pan to rise until 10pm. Cover and put in the frig and leave until I get home ( about 19 hours). Take it out at 5pm when I get home and sit to warm up 30-40 mins then bake. If there a better solution? Thanks so much. Feed it a little more flour that water and this should work. Say 3/4 up of flour, 3/4 cup water and 1/2 cup starter. This will give the starter more food and help it to last longer. Yea I think you need a new starter. Try reviving it and see if you can first. OK so It died. I bought a new one , put it in a warmer room and have fed it 1/2 c of flour and 1/2 c of water 3 times. It is bubbly but will not rise and it has a thin water line ontop?? What am I not doing or doing wrong?? As long as it is bubbly than it is working. This is called the hooch when you get a line of water and it needs another feeding. Is your house warm? It might be fermenting faster. Have you tired making bread with it? Yeah! Made my first loaf of sourdough bread! 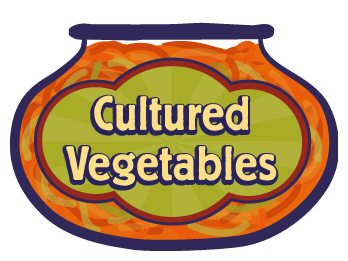 I will put my culture in the refrigerator to rest. I don’t see any other recipes in your book. The ones using yeast call for ” packet of dry yeast” Can the cultlure and dry yeast be interchanged? Yes they can be interchanged I do this all the time. Good Job!! I have a starter from “Amish Friendship Bread” that I’ve used for years. I just put it in the freezer when I want to take a break for a while. It is fed with sugar, milk & flour. 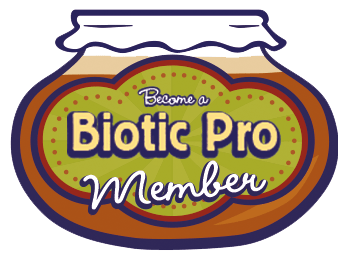 Can I use it for regular sourdough bread? or will it be too sweet? Should I start feeding it only water & flour or should I buy a starter? I really don’t know because I have never used this. I decided to try it and got a beautiful loaf of bread. Followed Donna’s Sourdough Bread recipe on pg 129 of your book. It has a sweet taste to it. May have to buy a starter just so I can compare! Thanks for your book and your website. I’m learning so much! I received your sourdough starter a few days ago. I fed it just like you said and it was active and bubbly and doubled beautifully. I made some refrigerated sourdough bread. The remainder of the starter has not been so good. It is very wet and doesn’t rise more than half an inch. It separates with a liquid line in the middle. I’m doing 1/2 cup starter and adding 1/2 cup flour and 1/2 cup water. Any ideas? Hi Donna, I forgot to ask if I’m trying to increase my supply and I’m not pulling 1 cup for baking and am just feeding it 2 a day, should it be 1 cup flour and I cup water or 1/2 cup flour and 1/2 cup water? I’m also confused why I had to feed it every 8 hrs when I got it and now just twice 2 a day. How long apart should the feedings be from morning to night? It works best to use only 1/2 cup starter and 1/2 cup flour and water. If you increase it too much by adding more flour and water it seems to make it less bubbly although you can do this. Twice a day every 12 hours is fine too. Eight hours is when it seems to reach its peak but it still fine to do it every 12 hours or twice a day. Im a bit confused when you say 1/2 starter and 1/2 flour and water. because when I bake I use 1 cup directly from my quart jar that sits on counter which I feed 2 a day morning and night. I replenish it with 1/2 cup flour and water to equal the cup of starter I took. Based off that if I pull from my jar in the middle of the day technically I would feed it 3 times? morning, when I took to bake, and night? One last thing, I notice when I go to feed it morning and night that there is the Hooch. Is 1/2 cup not enough? Am I starving my starter? I also have a gas Oven, and my bottom of my loafs are not golden brown almost burnt like, should I shorten the time? Is it bad to use a rectangular Loaf pan? Everything should be equal. 1/2 cup starter 1/2 cup water 1/2 cup flour. So yes you are doing it right. You should feed it twice a day but if you are getting a lot of hooch you can feed it more. You can try shortening the baking time or changing your pan and I use rectangular loaf pans all the time and they work great. 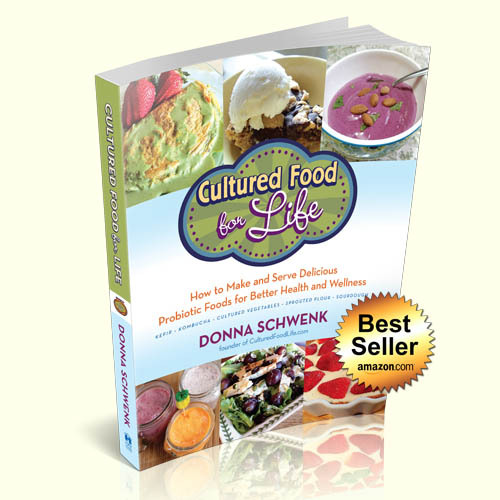 Hi Donna, I’m so excited to make sourdough bread, I was wondering though is there such thing as over feeding you starter? I received it in the mail yesterday and fed it right away let it sit for 8 hrs (no bubbles)then again another 8 hrs (sat over night) and then was going to feed it again in morning ( the bubbles were present) What I want to do is increase my starter amount before I pull 1 cup to make bread, because the amount I received in the mail and with only 2 feedings, wasn’t enough starter for me to pull 1 cup for baking, So 2nd I guess im wondering can I let it sit on the counter to increase the supply and just feed it twice a day? Yep you can keep feeding it on the counter twice a day or for as long as you like, but you’ll have a lot of starter! 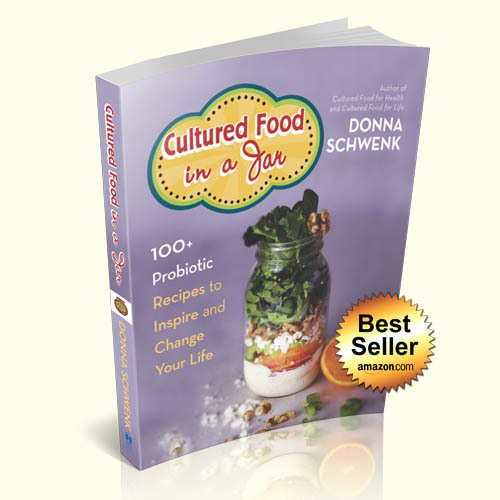 Hi Donna, I just got my live sourdough starter yesterday and it exploded on me when I tried to open it. I had about half the starter left so I fed it and it did very little so I fed it again. I just read, however, not to feed it sprouted flour. I am gluten intolerant. If I can’t use sprouted flour to make the bread, I don’t think I should pursue breadmaking. I’m bummed because I thought I read in your book that sourdough bread was okay for gluten intolerance. Am I missing something? Thanks! I’m not sure what you wound up doing about your starter, but you can definitely have a gluten free one! I used rice flour in my starter & “Phil” has been very happily bubbling away 🙂 It’s made some super delish crackers & pancakes for our family! 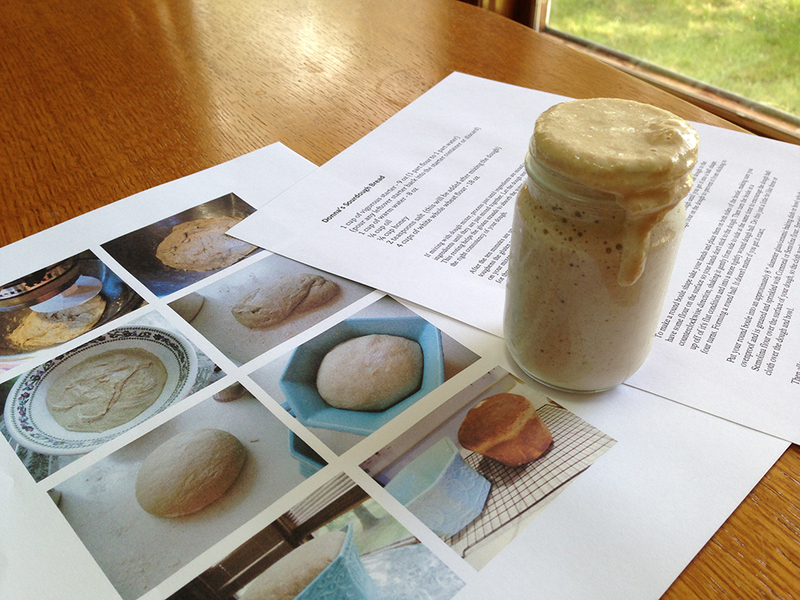 How do you start the ‘starter sourdough’ or what is needed to start it? Ok so I leave my starter out on the counter all the time. I usually feed it twice a day. I have 9 kids so I am constantly using it but I can never get my dough for the sourdough to rise. I’m using sprouted flour I’ve tried a few different kinds but none have worked. My starter seems a little runny to me. I was feeding 1 cup flour to 1/2 cup water but then saw on your site it should be equal amounts. Do you have any suggestions as to why my bread wouldn’t be rising? Sometimes my starter looks bubbly and alive and then sometimes I wake up and it’s got like a yellowy liquid on the top. I stir it up and some bubbles come back but I know it’s not bubbly like it should be. You can’t use sprouted flour you need to use regular flour or it doesn’t rise very well. Sprouted the work is already done and the bacteria has nothing to do so the bread doesn’t turn out well. Feed it regular flour and make bread with regular flour and it will rise. Does my starter need to be in a air tight or like a canning jar type lid? Right now it’s in a glass cookie jar type container the lid just sits on there. My bread dough seems so dry I even add a little more sourdough starter and it still seems like it is barely holding together. Sorry! I’m so frustrated I try almost everyday and I never can get it to work. I know how to make bread I do it everyday. It just use to be with regular flour. I can’t seem to make the wheat flour work for me! You need to add less flour. The moister the dough the more holes it has and I make mine pretty wet and coat it with oil. Really decrease the amount of flour and add it slowly till it is more of a wet dough than a dry one. It needs a tight lid or you might get bugs in it. A canning lid is fine. 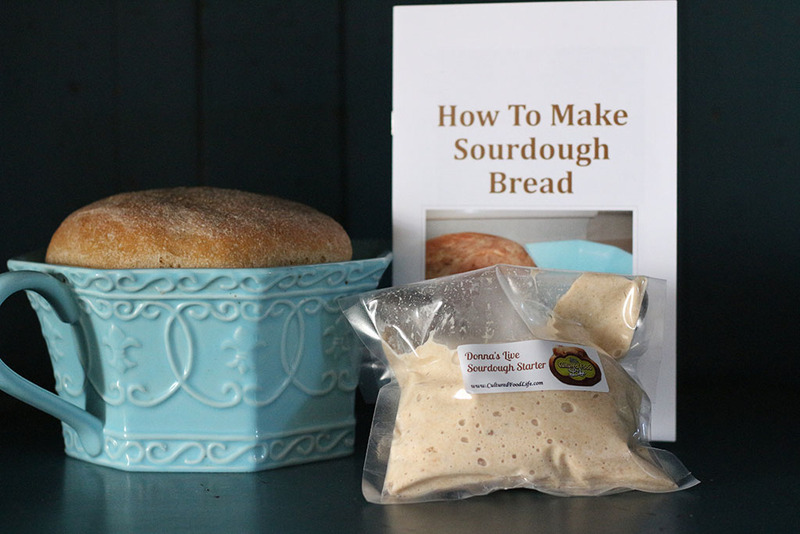 Does it make sense to use my King Arthur sprouted bread flour in the sourdough starter. No, it needs to be regular flour because sprouted flour is already broken down by the bacteria and the starter needs to do this in your bread to create the benefits. Okay I’m confused. I LOVE sourdough and want to try making my own but the whme process always sounds overwhelming. Your directions are the clearest I’ve read, yet. But there’s one but still confusing me. You say to replace what’s removed with equal amounts flour and starter: so one cup starter removed, one cup water and one cup flour added. But then below that it says 1/2 cup water and 1/2 cup flour. So I’m not sure which to do? Also you say you do this the night before so it’s ready… Can I not just take starter out if the fridge in the morning, say to make pancakes, remove needed amount, say one cup, then feed and put back in fridge? You can do either one. I always do the smaller amounts so I won’t have too much starter. I think I may have made a mistake with my starter I received a week ago. I was feeding it for the second time and I gave it milk and flour instead of water and flour. Help! did I kill it??? You know I don’t know. Keep feeding it and see how it does. Let me know how it reacts to this because I would like to know. Well it is still bubbling and I have divided my starter in two different jars and fed them with water and flour. I am going to feed them again in 8 hours and then put one in refer and then re feed the one on the table to get it ready for some backing. Does that sound right. I want to share with my daughter with the three babies when I see her in two weeks so I am trying to keep it going. Her babies love bread and she bakes for them all the time. Thank you for all you care for us. Yes, cover them with a secure lid when fermenting and in the fridge. So when exactly do you put the starter back in the refrigerator? Do you feed it, let it sit for 12 hours and then put it in? After you use part of it to make a loaf of bread, feed it and put it into the fridge immediately. Always feed it before you put it in the fridge. I am confused. I thought you said to leave it on the counter after feeding. I just ordered my starter. Do I feed it when it arrives and do I put it in the fridge or keep on the counter? You must feed it on the counter until its bubbly and then you use it to make bread. Store it in the fridge when not in use but feed it before you place it in the fridge. You can leave it on the counter but you will need to feed it in the morning and at night if you do. Thank you. That makes more sense. So, I feed it before I put it in the fridge. Do I feed it again when I take it out of the fridge to use again or do I just take it out and let it get bubbly on the counter? Yes, feed it before you put it in the fridge and then when you take it out to make bread, feed it again and let it sit on the counter for 8-12 hours and then make your bread. 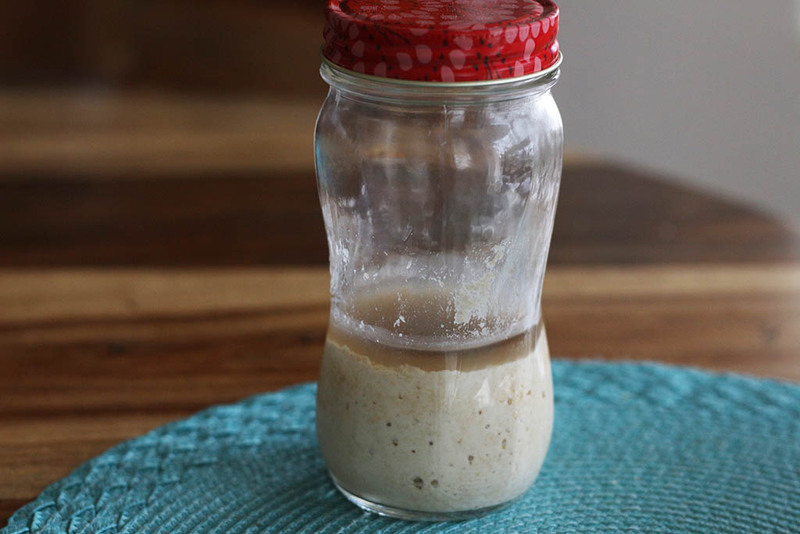 Just wanted to make sure – if I am baking about 3 times a week (biscuits/pizza dough/bread) – or every couple of days, its ok to leave the starter in its glass jar on the countertop indefinitely? I don’t want to go through the hassle of refrigerating just yet until I have to!… is that safe though? 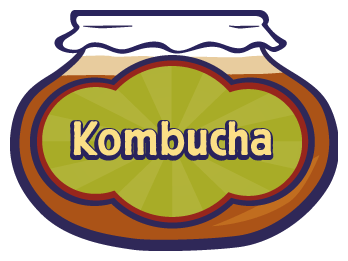 Donna I just ordered your kefir starter this weekend and I assume your going to mail it Tuesday? 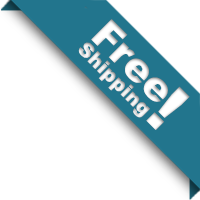 What I wanted to know is if I order the sour dough starter to be shipped at the same time, if I’m not quite ready with my equipment what do I do when it arrives to keep it alive until I’m ready? I can delay the shipment if you’d like and just ship the kefir. Where do you live? Just trying to get it straight about my sourdough starter. I take out what I need, say 1 cup of starter, replace with 1 cup flour and 1 cup water, leave that overnight say and then put it into the fridge. Do I also leave the 1 cup of starter (that I removed first) overnight on the counter as well. You said that you usually ‘do this’ the night before you are going to bake bread. Lets say you have a cup of sourdough starter left over from making bread. To feed it add 1/2 cup water and 1/2 cup flour add it to the starter you already have now you have 2 cups and let it ferment or place it in your fridge for another time. Does that help? Thank you so much for the ebook you sent when I signed up. There is so much good info here. 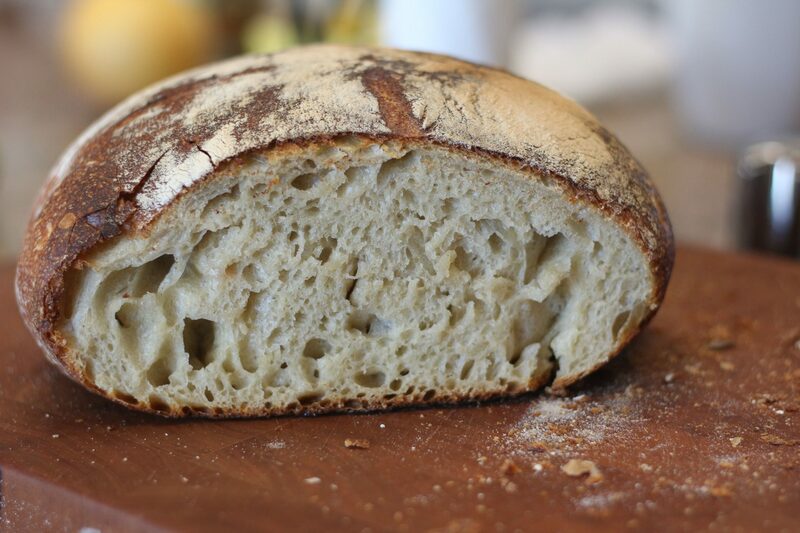 About sourdough bread, can I use Einkorn flour with your starter? The package says it’s white all-purpose flour so I’m assuming it’s not whole wheat.. but I’m not certain. Specifically, does your starter have to be used with a certain type of flour? Is that true of all starters in general, are they meant to work with a particular kind of flour? It does not need to be a certain type of flour but no gluten flours don’t always work. But other than that it works with all flours and this is true for all kinds of starters. 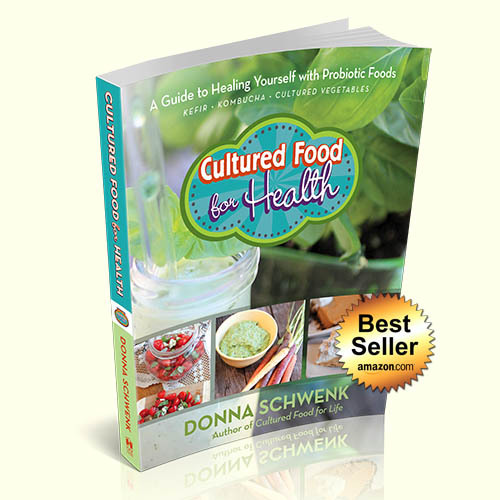 I ordered a spelt sourdough culture from Cultures for Health. On their website they say it’s better to feed with aged flour (left out for a week) than freshly ground flour. Do you have any experience/opinion on this? I have always fed my fresh flour and have had no problems with this. 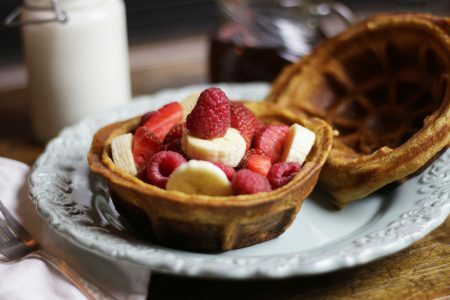 Hi Donna, when you say to revive your starter with one cup of flour and one cup of water……how much starter do you actually “start” with to add these quantities of flour and water to? Usually about 1/2 cup or more. It really doesn’t matter as long as you have a least 1/4 of a cup. How do you make a starter on your own from scratch. I thought I had heard water, flour & kefir whey but can’t find that info now. Perhaps I dreamed it. do you always have to order starter starter, or can you do it yourself? Just wondering. A few years ago someone gave me an “Amish” sourdough starter, I did it for awhile, it was really good. But I used the basic white refined flour (I didn’t know any better). The process of dealing with it became too much, I didn’t realize it could be sent to the fridge for a vacation for awhile. My6 year old son LOVES waffles and pancakes. Waffles are his request for breakfast every morning with apple butter. I would like to make them healthier for him. Do you/can you make them ahead and freeze or refrigerate them? 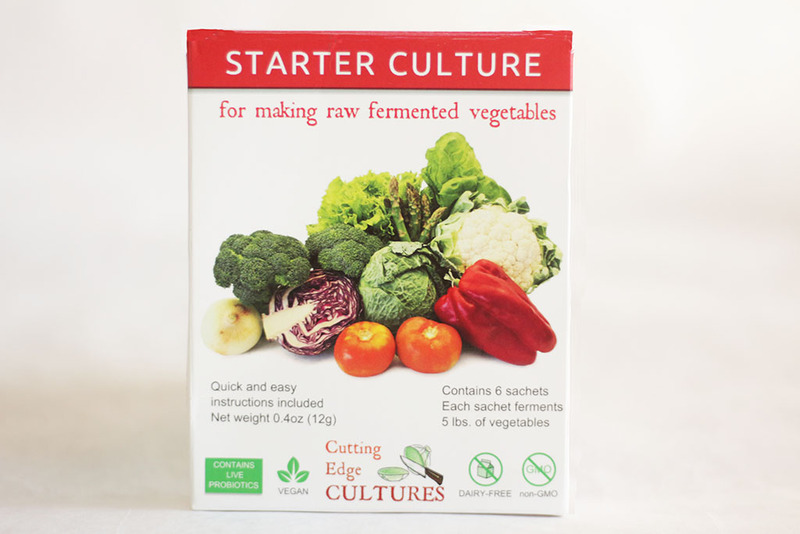 Can you make a starter yourself? You can freeze them or refrigerate them. I toast them in the oven to crisp them up again.